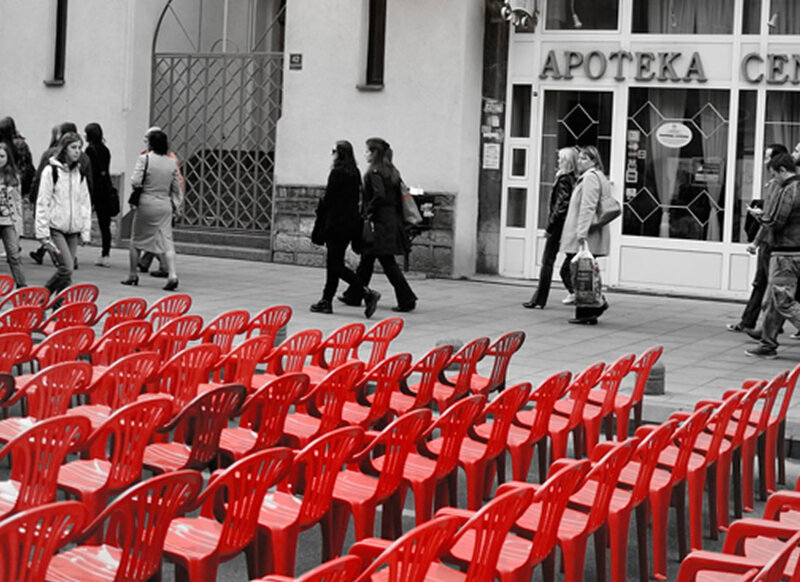 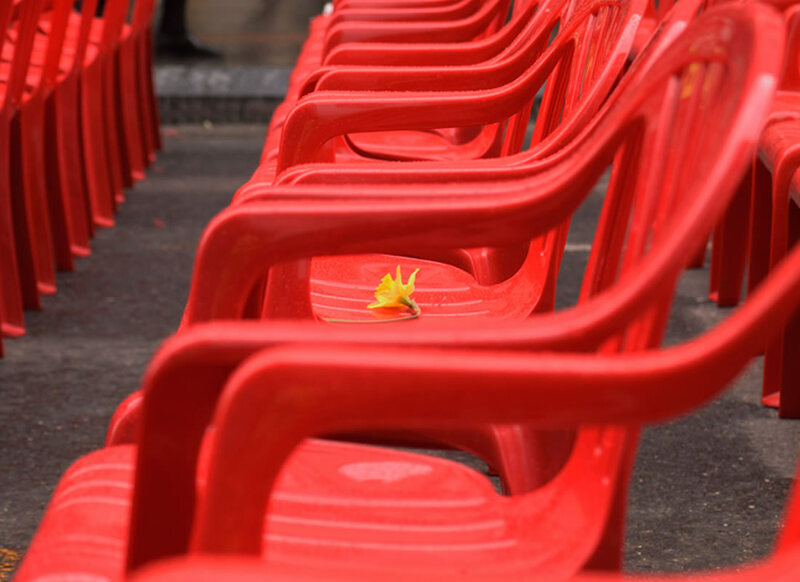 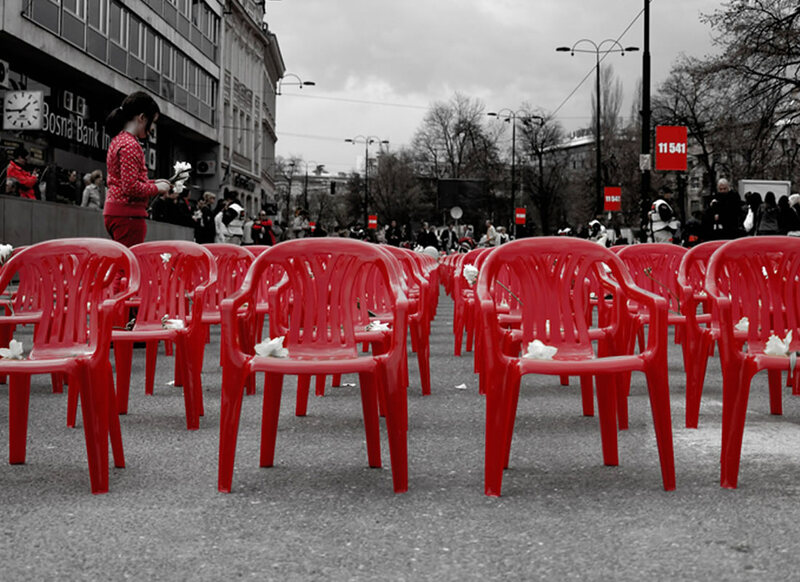 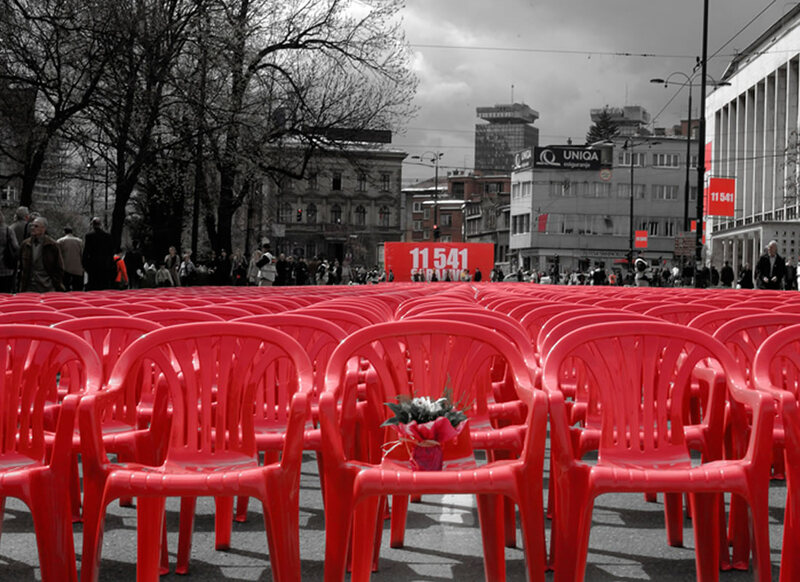 To commemorate the 20th anniversary of the Siege of Sarajevo, 11,541 empty red chairs lined the city's Maršal Tito Street. 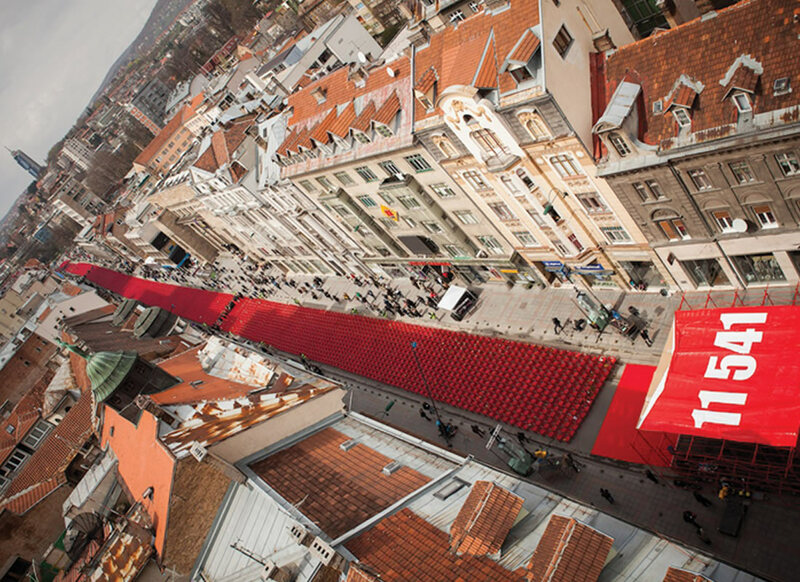 The Sarajevo Red Line project was launched in April 2012, to commemorate the 20th anniversary of the siege of Sarajevo. 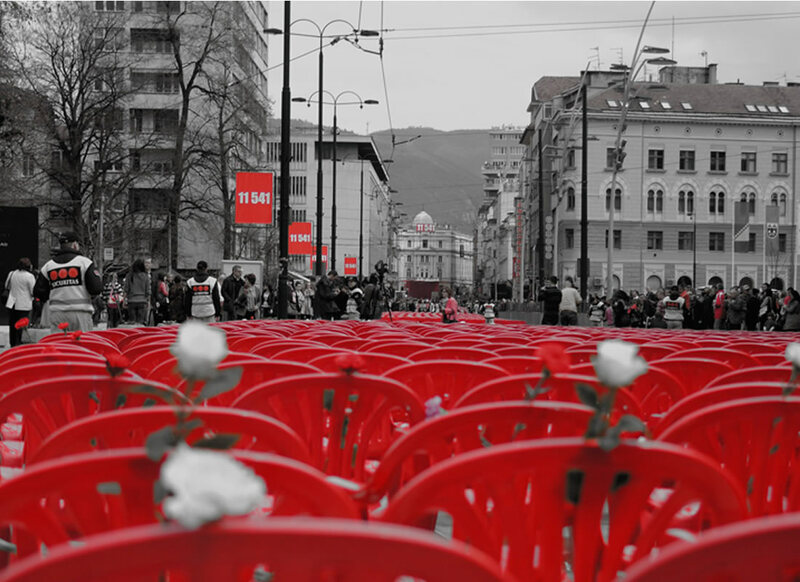 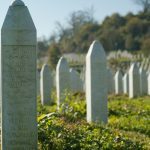 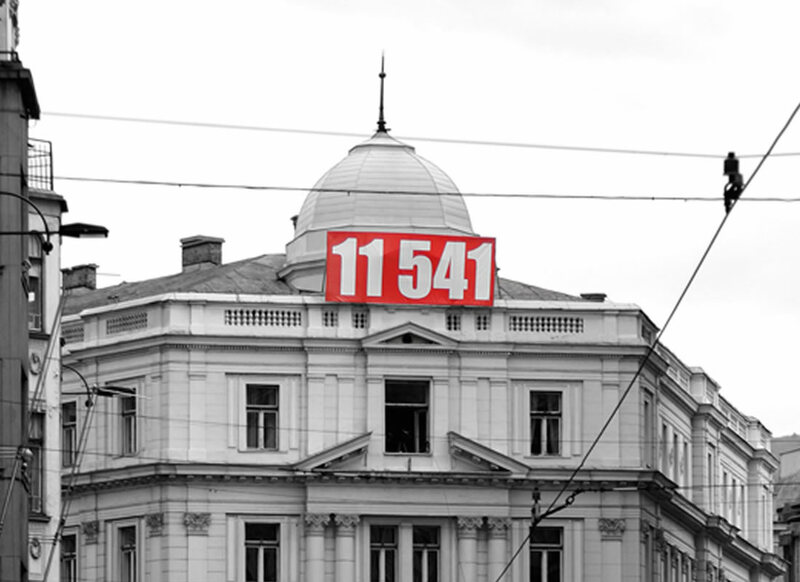 The project – a collaboration between the city of Sarajevo and East West Theatre Company – served as a poignant reminder of the longest siege in modern history. 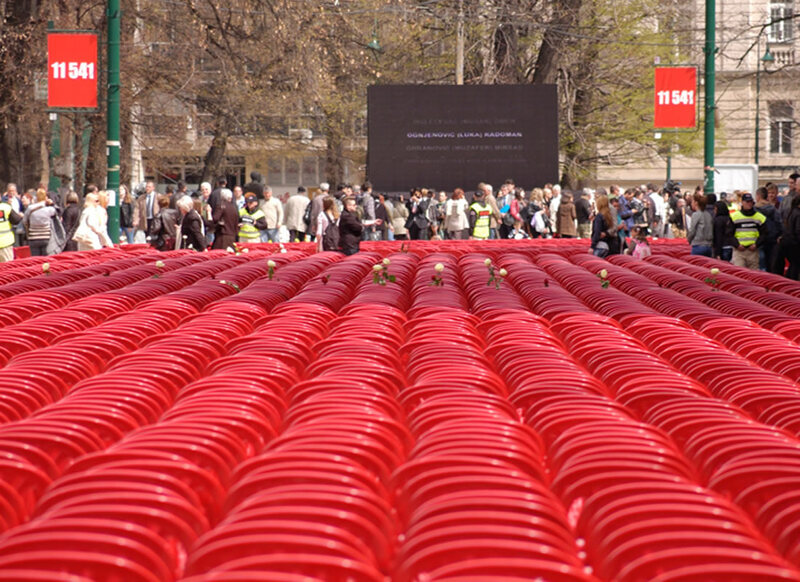 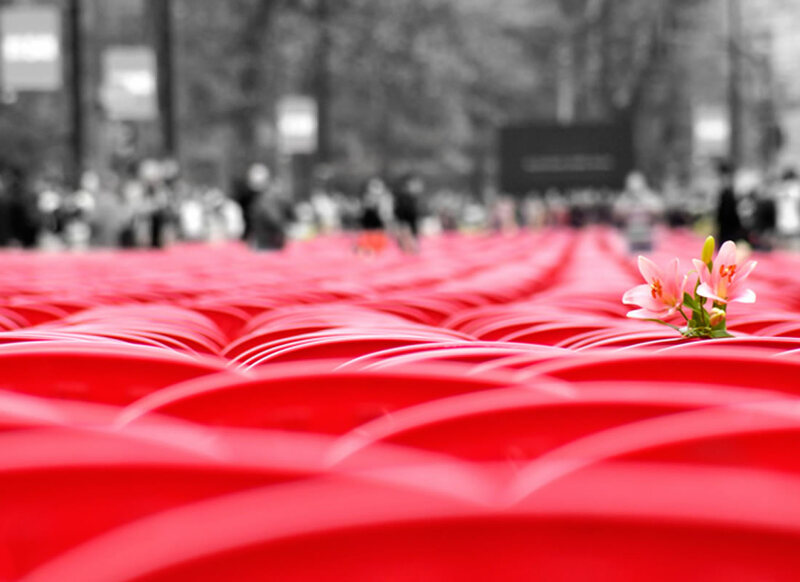 The main focus of the commemorative event remains a large chair installation; consisting of 11,541 empty red chair, arranged in 825 rows, the installation symbolised the 11,541 victims who were killed during the siege of Sarajevo. 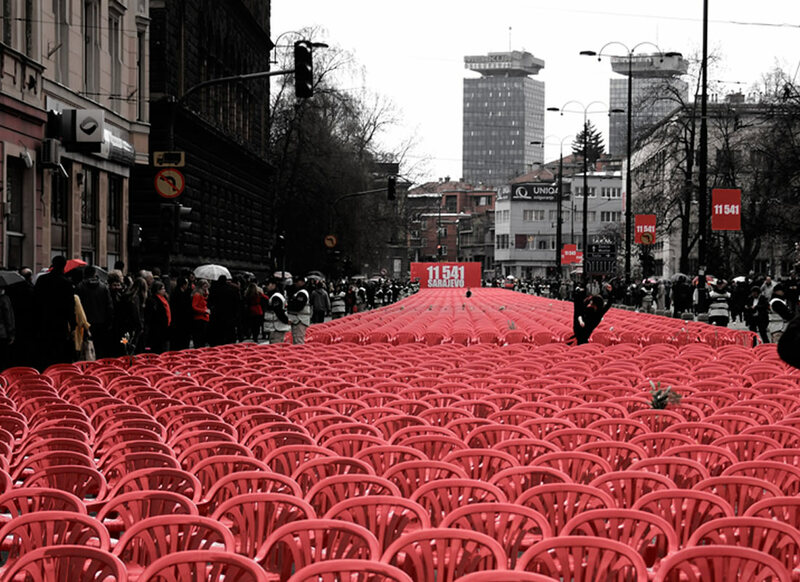 The chairs, assembled to look like an audience, stretched for 800 metres and contained 643 small red chairs to represent the 643 children massacred during the siege.